Asmara.The Eritrean people have welcomed the New Year 2017 with anticipation of bright prospects as regards the development drive. This was reflected at the concert held on the eve of the New Year following fireworks display at Harnet Avenue and celebration events at community level in Asmara city center. The Head of the Holiday’s Coordinating Committee Office, Mr. Tesfay Berhe, noted that the popular celebration event conducted at Bahti Meskerem Square was characterized with enthusiasm. 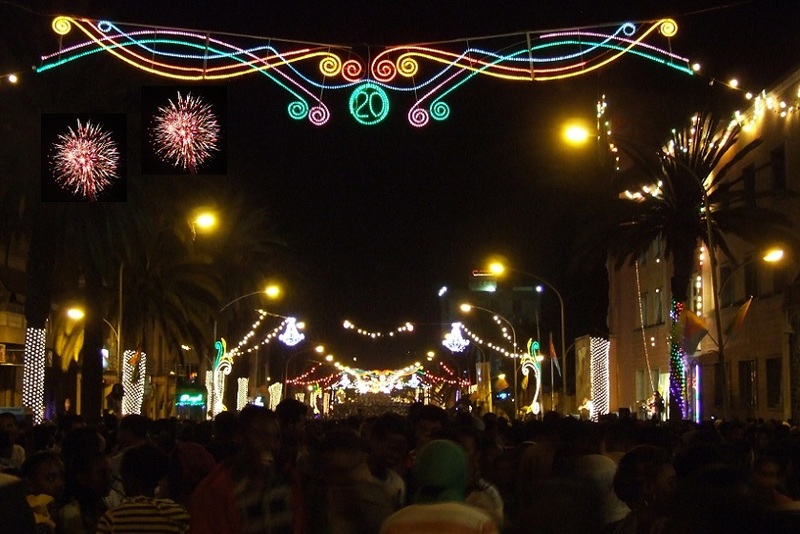 Foreign nationals who attended the celebration on their part wished the people and Government of Eritrea a Happy New Year.